BLACKSBURG, Va., Aug. 11, 2009 – Virginia Tech will host two pilot programs for new theme housing communities this fall, SERVE and Green. SERVE, which stands for Students Engaging and Responding through Volunteer Experiences, will focus on service-learning, and Green will educate students about sustainable living. Each pilot program will house a small community of 10 to 20 students, who will have a chance to shape the curriculum for future classes when the communities become officially established. Both SERVE and Green will be located in Pritchard Hall, which has been renovated to provide coeducational housing for fall 2009. SERVE was designed in the spirit of the university motto, Ut Prosim (That I May Serve), to give participants the opportunity to volunteer in the Virginia Tech and surrounding communities. Students will work with local non-profit organizations and attend speaker seminars and reflection sessions that focus on leadership development and civic responsibility. The community will also offer weekend service-learning excursions in Southwest Virginia and an alternative spring break service trip. The Green program will introduce students to local resources, student organizations, and campus committees that are dedicated to sustainable living. Students will learn about current sustainability standards and practices and have the opportunity to apply them in the Virginia Tech community. SERVE and Green are no longer accepting applications for the fall. 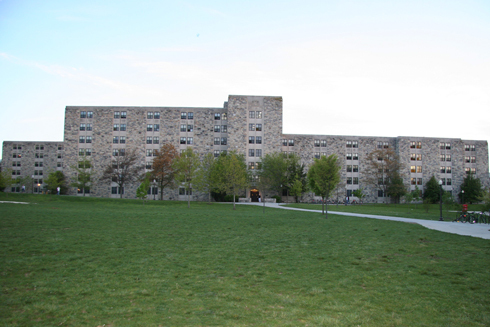 More information about Virginia Tech’s 12 other theme housing communities may be found on the Residence Life website. Residence Life is a department within the Division of Student Affairs. For more information about SERVE, contact Jake Grohs. For more information about Green, contact Kristine Dahm.